Ghostbusters is one of the worst video games I have ever played. It wears its disdain for the player on its sleeve, and the truly scary thing is that everything in it appears to be working as intended. 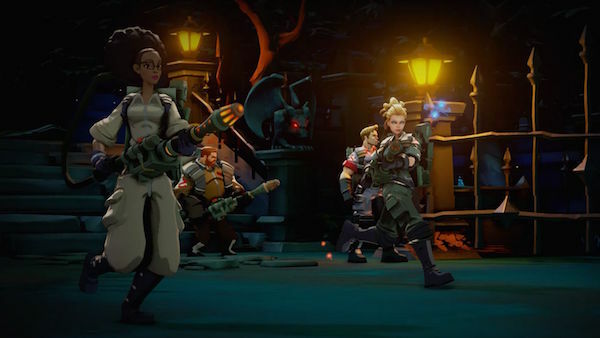 I haven’t had a chance to see the new Ghostbusters movie yet, but if it’s anything like Activision’s latest tie-in game, the army of Internet haters who lambasted the film before even seeing it should feel vindicated. 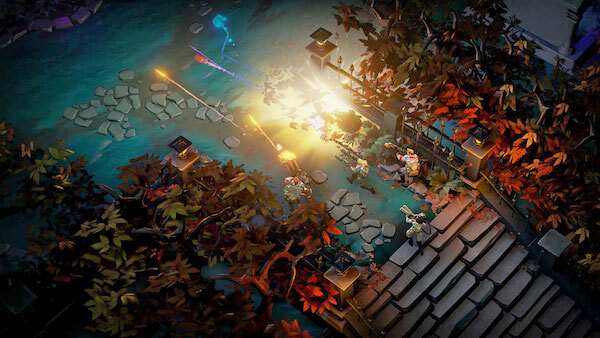 This iteration of Ghostbusters takes the form of a simplistic isometric twin-stick shooter. As you might expect, you’re placed in the role of a member of the titular ghost-hunting team tasked with eradicating spectres from various haunts throughout the city using a variety of proton-powered weapons and tools. Absent are any of the characters you know and love from the films, both old and new. The game apparently takes place in the same fiction as the 2016 movie reboot, but that association is completely incidental and plays no real role in the game’s thin narrative. You might think it’s a shame that there’s not much story here, but considering the quality of writing experienced in the game’s brief intro cut scene, the lack of plot is merciful. Within 10 seconds of the game’s opening, my jaw had literally dropped at how bad the characters, dialogue, and voice acting are. I see plenty of bad, boring, throwaway children’s shows while my 4-year-old daughter is watching TV, and what’s in Ghostbusters doesn’t even reach that level of mediocrity. There are more bumbling, awkward references packed into the first 90 seconds of the game than I could count, and it left a horrible taste in my mouth that persisted throughout the rest of the game. Fortunately, the semblance of story and characterization present in the intro is mostly left behind, with only brief voiceovers present for the rest of the game. 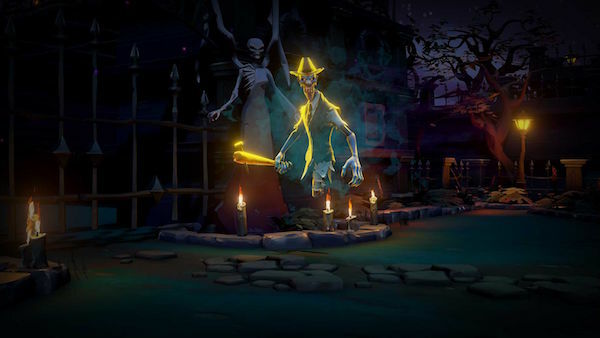 When tackling one of the game’s handful of levels, you choose from a roster of four different characters that each possess different methods of taking on ghosts. Despite depicting a world where ghouls run rampant and nuclear accelerators can fit comfortably on your back, the game is pretty light on imagination, and subsequently you’ll be choosing from pretty standard shooter options such as a minigun, shotgun, assault rifle, or pistols. The fact that these weapons are powered by proton packs makes little difference in how they play, and the shooting (of which there is a lot) ends up feeling very one-note because of it. In addition to this rote selection of weapon types, each character gets their own type of grenade, a PKE meter for detecting hidden objects and clues, and a traditional proton beam for lassoing and ultimately capturing ghosts. Besides the difference in primary weapon, there’s really not much to differentiate the characters. An option to mix-and-match your weapon and grenade type would have been welcome, but it ultimately makes little difference. Whether you’re going solo or bringing along some friends via local co-op, four characters are always present on missions. This leads to chaotic situations where your own impact feels lost among the actions of your teammates, and there’s no real strategy to taking on any combat scenario. It’s a mindless, repetitive cycle of shooting to weaken ghosts and then performing the same two rudimentary quick time events over and over again to capture more powerful creatures. This tedious loop is frequently punctuated by a mechanic so pointless, inane, and maddening that a sizable chunk of this review simply must be dedicated to its awfulness. As you fire your primary weapon, your proton pack generates heat dictated by a meter in the upper left of your screen. If this meter gets too high, your pack overheats and you won’t be able to shoot for a while. But if you hit a button to vent the heat, you can keep firing away. There’s no penalty to hitting this button over and over again at any timing or interval you like. It’s not challenging and it’s not strategic. It’s simply filler. There is no reason for this system to exist other than to make the game appear deeper than it is. It’s as if someone looked at the active reload system pioneered by the Gears of War series, stripped out everything good about it, and left something so ill-conceived that I’m baffled at how the game shipped with it. Let me be clear: Ghostbusters would not magically become a good game without dull and pointless mechanics like this one. But it’s indicative of exactly how little care and thought was put into the game as a whole. Whereas the rest of the game is simply boring and mediocre, this is a system that actively works against the player and any minute sense of fun they might be having. Its presence gives the impression that no one even took the time to play the game they were creating to see if it was enjoyable. Sure, there is a nascent upgrade system that supposedly improves this overheating and other elements like your character’s incredibly slow movement, but in practice these upgrades take far too long to earn and ultimately have far too little impact. There are two positive things that I can say about Ghostbusters. First, it’s a technically competent game that works as intended, and I didn’t encounter any bugs during my time with it. Second, it features a high-quality version of the classic Ray Parker Jr. theme song as background music while navigating menus. Everything else about the game ranges from infuriating to appalling. I can’t even think of anything in this game that’s worth seeing for a laugh. There are an infinite number of ways to better spend your time and money. This review is based on the PC version, which was provided to us.